Beautiful Effanbee 17 inch composition "Honey" Designer Doll Fashion Miss made in the l950's, completely dressed in stunning Victorian Pink Satin and Ivory Lace outfit with large satin bow and rose and a Heart shaped necklace. 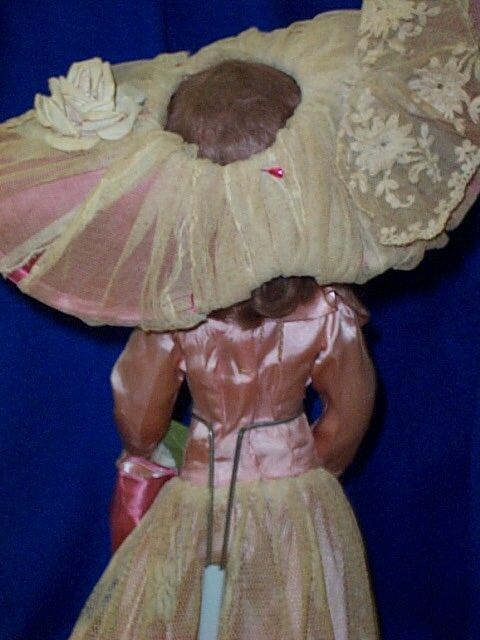 Her hat, done in matching satin and lace is 12 inches across and is open at the crown. She is so properly attired...to include her under skirt, silk stockings and gold shoes. She has a pretty painted face, blue Sleep eyes, an Auburn glued on wig. 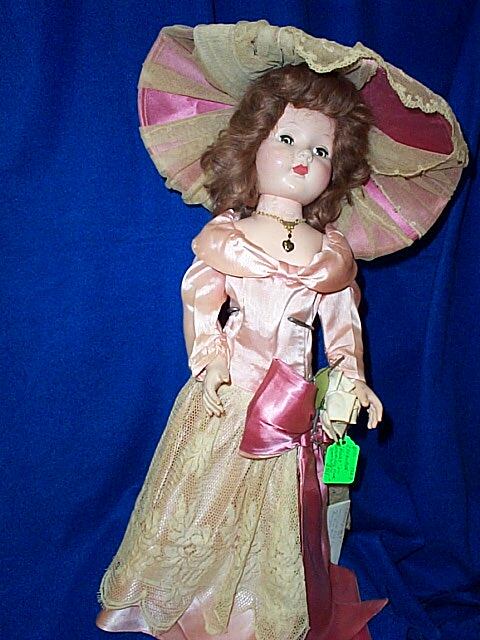 What a wonderful addition to your doll collection this victorian beauty would be. 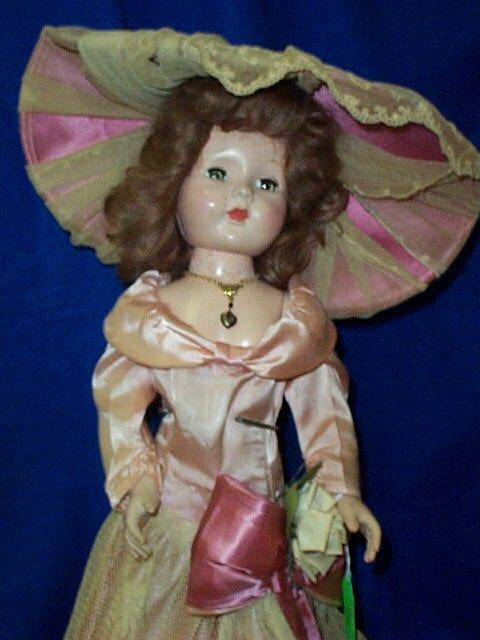 Items Similar To "EFFANBEE "Honey" 17" Victorian Dressed Doll"
Toy Group Beautiful HONEY DOLL by EFFANBEE.